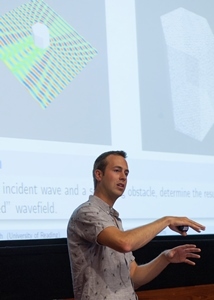 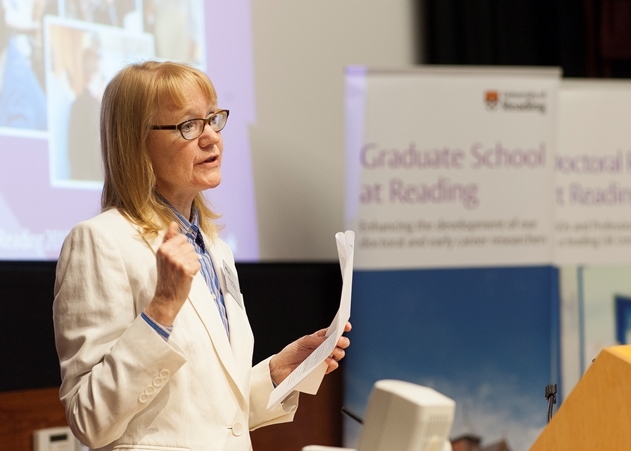 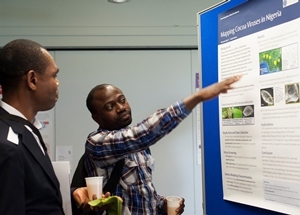 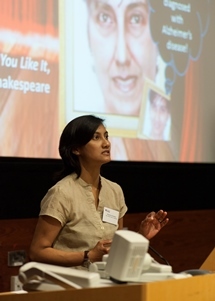 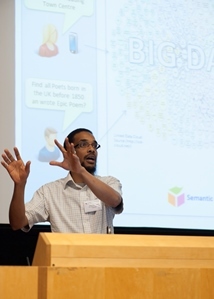 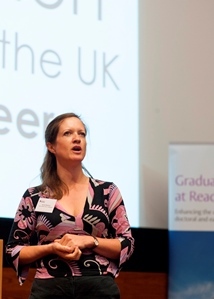 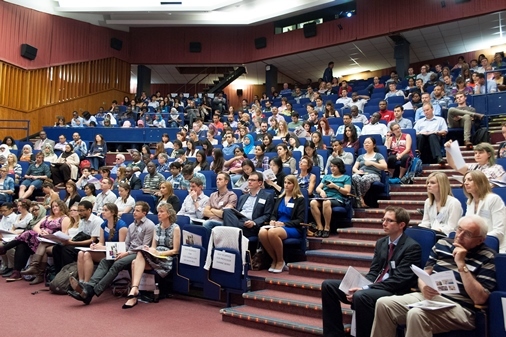 On Thursday 1 July 2014 the Graduate School held its annual Doctoral Research Conference. 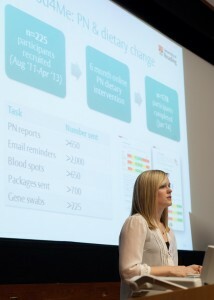 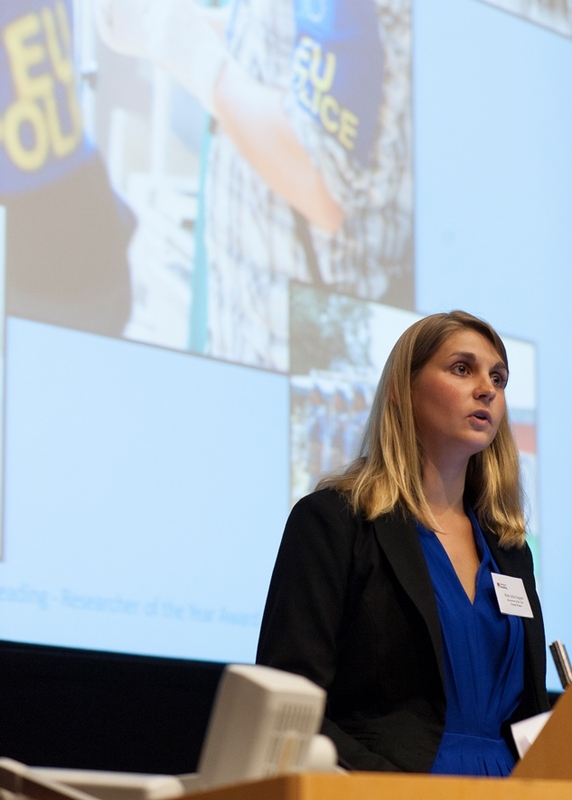 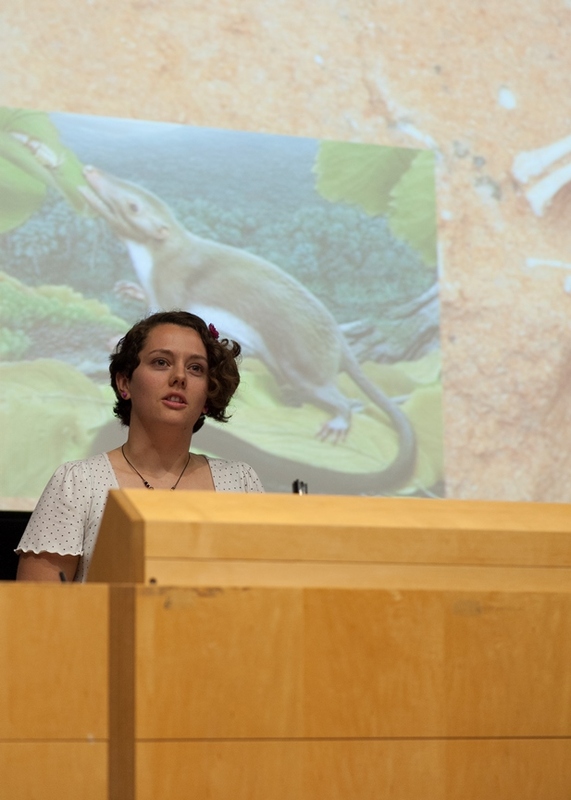 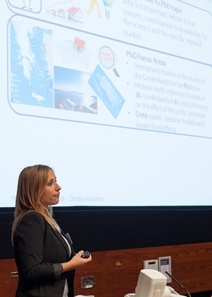 Over 300 doctoral researchers and academic staff attended the event and the afternoon featured presentations by finalists in the PhD Researcher of the Year Competition and the Three Minute Thesis Competition. 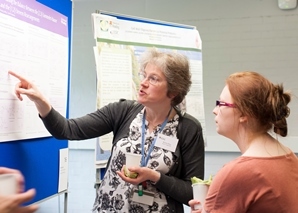 Also on display were entries to the Research Poster Competition and the Research Image Competition shortlist. The conference competition winners. 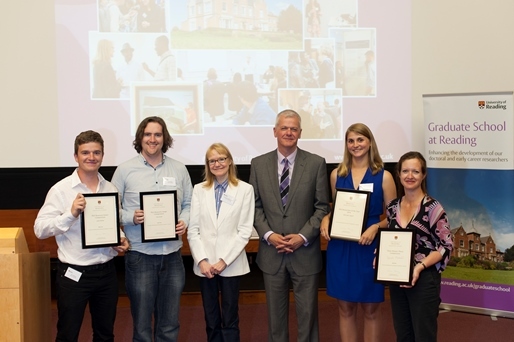 From L-R: Jacob Bishop (Research Poster); Tom Webb (Research Image); Professor Dianne Berry; VC, Sir David Bell; Birte Julia Gippert (PhD Researcher of the Year); Sarah Mitchell (Three Minute Thesis).